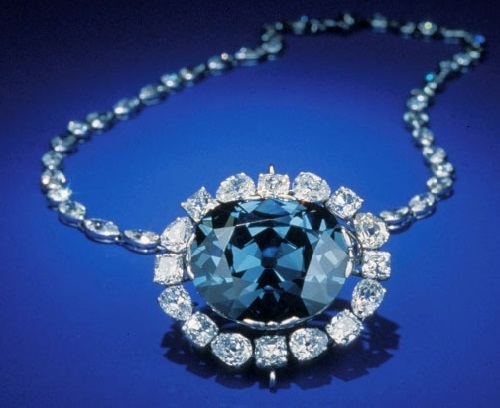 The Hope Diamond, also known as “Le bleu de France” is a large, 45.52-carat (9.10 g). 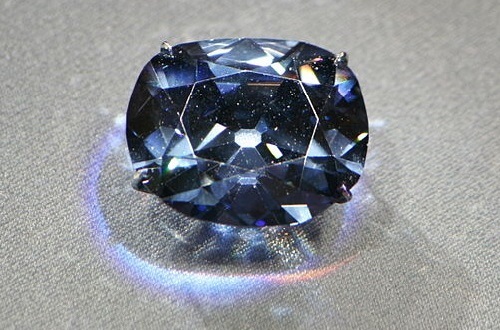 Deep-blue diamond, now housed in the Smithsonian Natural History Museum in Washington, D.C. In fact, it is blue to the naked eye because of trace amounts of boron within its crystal structure. However, it exhibits red phosphorescence after exposure to ultraviolet light. Meanwhile, it has a long recorded history with few gaps in which it changed hands numerous times on its way. In particular, from India to France, then to Britain and to the United States. Described as the “most famous diamond in the world”, according to belief, it is also the second most-visited artwork in the world, after the Mona Lisa. 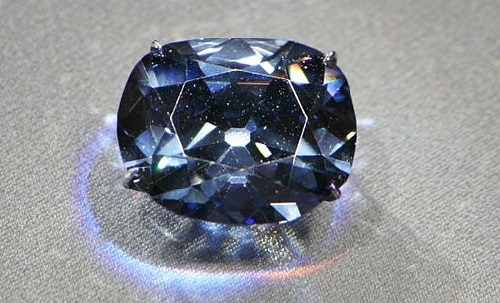 In December of 1988, a team from the Gemological Institute of America visited the Smithsonian to grade the great blue stone using present day techniques. They observed that the gem shows evidence of wear, and has a remarkably strong phosphorescence. However, its clarity – slightly affected by a whitish graining which is common to blue diamonds. They described the color as a fancy dark grayish-blue. An examination on the same day by another gemologist using a very sensitive colorimeter revealed that there is a very slight violet component to the deep blue color, imperceptible to the naked eye. Still, one can only wonder that the original 112 3/16-carat stone bought by a 17th-century French gem merchant and traveler Jean-Baptiste Tavernier was described as “un beau violet” (a beautiful violet). The old traveler Tavernier died in Moscow, buried in 1689. He was eighty-four. 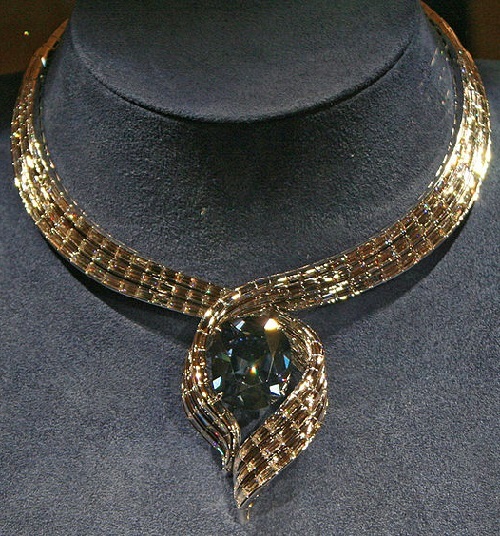 On November 18, 2010, the Smithsonian auction unveiled the Hope Diamond and displayed at in a temporary newly-designed necklace called “Embracing Hope,” created by the Harry Winston firm.